I’ve had a lot of negative things to say about American for the past several months, and I’ve been talking about how I’m planning on switching my business away from them. I promised I’d provide an update on my situation, so in this post I wanted to share what my plan is at this point. I can handle American being mediocre and just not offering a great customer experience. My real issue, personally, is just how many maintenance delays I’ve had, and how poorly they’ve been handled. About half of my flights lately have had significant maintenance delays. I simply can’t rely on American to get me where I need to go in a timely fashion anymore, and if an airline can’t get you to your destination reliably, then it’s really hard to be loyal to them. To be clear, it’s not that I don’t want American Airlines to do maintenance on their planes when something is wrong (of course I do), but rather it’s that I’d like them to take a proactive approach rather than a reactive approach to maintenance. How is it that Delta’s on-time percentage is way better than American’s, in spite of their average fleet age being significantly higher? When I first decided I had enough of American, my thought was to be loyal to Delta instead, since they’re the best of the “big three” global US airlines in terms of operational reliability and customer service. But in the past several months I’ve had an epiphany. I’m done with airline loyalty. I’m not considering switching my loyalty to another US airline, but rather the only option at this point is to just become a “free agent,” and fly whatever airline works best for each trip. Airline loyalty programs used to be compelling to the point that it was worth overlooking airlines’ shortcomings, but between the “big three” US carriers cutting elite benefits, increasing status requirements, and increasingly monetizing their premium cabins, it’s no longer worth it to me. I still think miles are very much worth collecting, but status is no longer worth going for in the same way that it used to be. As far as I’m concerned, airlines have taken these devaluations one step too far. They’re killing the very things that made these programs mutually beneficial. It’s only about a month ago that I decided I was “done” being loyal to American, and I don’t travel that much domestically. So for the trips I’ve needed to take, I’ve just flown the airline that is most convenient for my schedule and that represents the best overall value. In instances where American and another airline were tied, I selected that other airline. For example, I recently needed to fly from Chicago to Miami. American and United had similarly priced fares, and I flew United. Then this week I needed to fly from Miami to Spokane, and American had by far the best schedule, so I booked them. 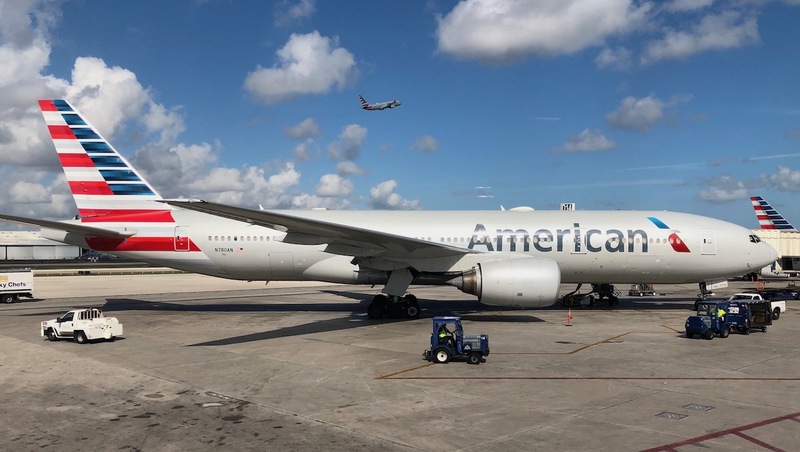 Ford and I recently moved to Miami “full time” (I’m still gone constantly, but I finally have a “real” home) to be closer to family, and this presents a challenge on the airline front. I’ve never fully appreciated what it’s like to be a hub captive. In most markets you have a variety of airlines to choose from, and even in some major cities (Chicago, Los Angeles, New York, etc.) you can choose from several airlines. But Miami is dominated by American to an extreme extent. One of the things I looked forward to about being in Miami is having a direct link to the Caribbean, South America, etc. American has nonstop flights to just about everywhere from here. If I were in another major city (other than Charlotte, Dallas, etc.) I’d just completely write off American and say I won’t fly them again, given their abysmal performance. But that’s not something you can do in Miami. Actually this goes way beyond just what the airline offers, but also involves the airport as such. Delta and United use awful terminals in Miami that aren’t connected airside to the main terminal. In the main terminal you have an Amex Centurion Lounge, renovated Admirals Clubs, decent Priority Pass restaurants, and more. Never mind that the terminal is reasonably nice, while the other terminals are so-not-nice. I’m done being loyal to American. I’m no longer going out of my way to fly with them. Ford didn’t requalify for Executive Platinum with American, and that’s by design, because we’re no longer blindly loyal to them. All else being equal, I’m choosing to fly other airlines over American. However, for some trips it’s just not feasible to fly another airline. What am I going to do, turn a one hour nonstop flight from Miami to the Caribbean into a six hour journey via Atlanta? So I’m flying American only when they’re absolutely the best option by a long shot. And when I say “by a long shot,” I mean factoring in that the flight may very well be delayed by a couple of hours. But unfortunately when you’re based in Miami, that’s still a lot of trips where they’re the best option. I’ve never fully appreciated the challenges of being a true hub captive. I don’t think there are many markets where that’s more evident than Miami. For now I’m taking things as they come. I’m loyal to American, and will choose another airline if options are comparable. But the reality is that for many trips out of Miami, you really don’t have a choice. I don’t know what to do here. Obviously I don’t feel good about this, and I like to put my money where my mouth is. If I were in most other markets I’d quit American without giving it a second thought. I’m curious how you guys feel about this. Are there any readers who are hub captives who still manage to not be loyal to the airline that literally dominates the airport? Am I taking a fair middle ground approach? Is it unreasonable to continue to fly them when they’re by far the most convenient option yet complain when things go wrong, because I don’t want to give them a free pass?